The deal between BP and Rosneft to develop Russia’s Arctic shelf, blessed at a meeting with Prime Minister Vladimir Putin on Friday, is a historic one for the Russian (and global) energy industry. The Arctic – as one of the world’s last unexploited oil and gas regions – is a key prize for the British oil major, which has struggled with the fallout from the Deepwater Horizon disaster in the Gulf of Mexico. Thus the joint venture with state-owned Rosneft is something of a godsend for BP, contrary to what Western financial markets thought on Friday. The perceived political risk to BP is clearly overestimated by investors in London and New York. Yes, it is true that BP has had its run-ins with Russian partners in the past. However, the key point is that neither BP’s difficulties with Sidanco in the late 1990s nor its well-publicised troubles with its TNK partners a couple of years ago (which led to BP’s current CEO, Bob Dudley, being denied a Russian visa) actually led to serious losses for BP. 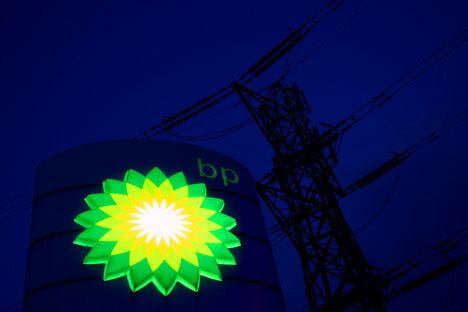 To borrow a phrase uttered by Hyman Roth to Michael Corleone in The Godfather (Part Two), “[Russia] always made money for its partners” – and that has been particularly true for BP, whose reserves have been boosted by one-quarter through its investments here. Since verifiable Arctic oil and gas reserves are the stuff of dreams for a Western oil major, BP would been crazy to turn down this opportunity. The fact that BP is now locked into a joint venture with Rosneft, overseen by influential Deputy Prime Minister Igor Sechin, is the best guarantee that BP could get for its money. Of course, that is not to say that Western oil companies in Russia don’t face all kinds of risks – such as environmental problems, corruption, so-called “energy nationalism” and a collapse in the oil price. But those risks come pretty much everywhere around the world these days for private oil firms, who have long ago learned to deal with the energy realpolitik of the 21st century. In this brave new world, most of the trump cards are held by state energy companies.